WINNER! 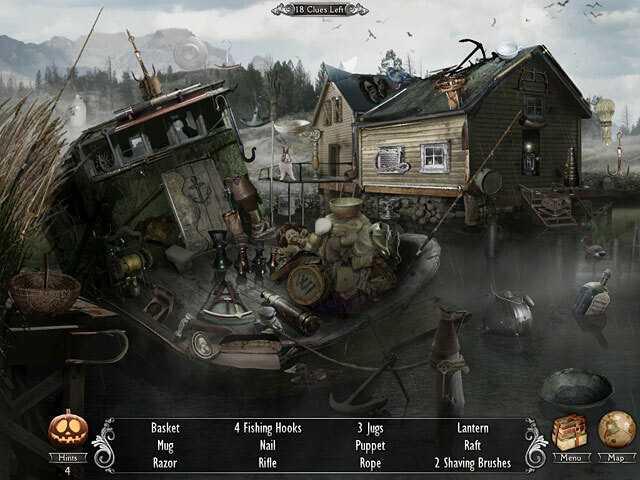 Best Hidden Object Game of 2008! 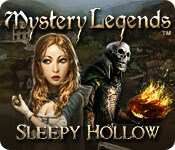 Mystery Legends: Sleepy Hollow is rated 3.7 out of 5 by 51. Rated 5 out of 5 by moosish2 from Best Halloween-season HOG game ever! Gorgeous graphics! Fun, season-appropriate, logical storyline (with good English); good mix of easily-found items along with harder ones, but there are adequate hints as well as helpful silhouettes when needed; flawless game play. I spent about 5 hours on this game in total. I loved it! (Please note that I play without sound or music, so I can't comment on those.) This is, by far, the best Halloween-themed game I've ever played! Rated 5 out of 5 by JDali138 from For fans of MCF Madame Fate Really like this game. Plays the same as Madame Fate (which I also loved), 21 HOS scenes, and another 12 character HOS. Played through it several times. Loads of fun. Rated 5 out of 5 by Blackie110 from THE BEST GAME ON BIG FISH...BESIDES MADAM FATE I bought this game years ago and keep returning every once in a while to play it again. The sounds and voices in this game are amazing. There has never been another game like this one in years. Why? Come on Big Fish listen to your players. The other incredible game on Big Fish is the first Madam Fate...never another one like it yet. Why? I have purchased hundreds of games on Big Fish over the years but these two are by far the most enjoyable ones I have ever played. Rated 5 out of 5 by lswhite369 from Excellent for Halloween This is my first time posting a review but I had too. I found this game to be exciting and fun. I could not stop playing till I solved the mystery---which you actually don't--which very much disappointed me. I look forward to the next part but wish it was included in this version. Just felt I got short changed even though I did buy at discount. Game is easy to play hints are as many as you can get if you find the pumpkin at each scene. Some items are hard to see for black white scenes; some are too bright to see items--will be hard to get perfect game. Storyline fantastic loved it as I like all sleeping hollow stories. Music relaxing during game play. All and all I got a good game for Halloween and did enjoy playing it wish there was more to it. 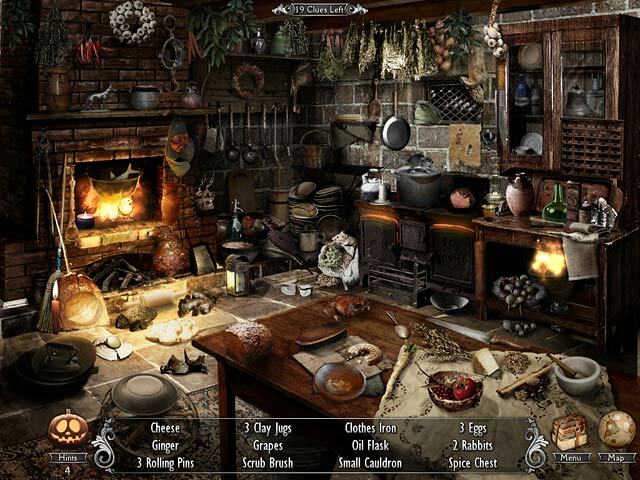 Fast easy game for past time if you like hidden object-- get it-- very easy for kids and enjoyable. Rated 5 out of 5 by IsisRising from Excellent! I have played this game over and over and have enjoyed every time.It gives you a bit of the original story as it introduces the characters. The sound effects are great and so are the graphics.The mini games are interesting.You can play timed or untimed which is a plus. Yes it is almost purely HO the way that they used to be before they became too confusing and that is what I like about it.I wish that the manufacturers would create more like this for those of us who prefer this type of game play. Rated 5 out of 5 by hatzic from Highly Entertaining (Mac users, there is a version!) I love this game and have replayed several times. I got a Mac a year ago and some of my Big Fish PC games (like Sleepy Hollow) didn't have a Mac version. I recently had a craving to play this game again (it's like that) and I found it on the Mac Games Store, for anyone looking for it. I'm so happy I found it. I love everything about this game. The total emersion into the Legend of Sleepy Hollow, the sharp slicing sword sounds, the excellent and chilling voice acting, even the evil looking pumpkins - this games drips with dread and shuddering terror, as the wicked victims get their gratifying comeuppance. Beautiful, gruesome and mesmerizing. The artwork is unique and the game doesn't rush and you don't feel like rushing through. You want to step through Sleepy Hollow. I find the HO scenes challenging in a good way - clever and satisfyingly difficult. 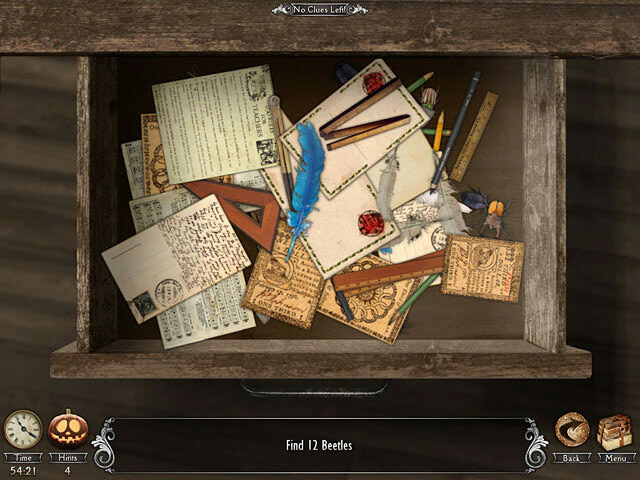 Also, I like those mini-games where you need to find a single item in one screen (like, find 25 buttons) - Those screens break up a game and gives you a quick challenge to beat against the clock, and this game delivers those. And the slicing sound of the sword with each action, ahem, executed, is delightfully sinister. Everything is in theme and effective. It's like sitting down to your favourite ghost story, and you can't wait for the next chapter. So glad I found it for my Mac! Rated 5 out of 5 by sapoe from good for me! I played this one when it first out and yes, I have fun (I never leave a review before). That's way, I give it five stars because this game is good for my lazy time and I love the storyline. If you are a HOG lover or maybe looking a game for spending your lazy time, well try this one! Btw, thanks dev!